An out-of-the-blue weather bomb that washed out roads and caused widespread flooding and property damage in Featherston was the worst torrential downpour a resident of 80 years has ever seen. The heavens opened for about three hours on Sunday afternoon, wreaking havoc on the township and rural areas as the sun continued to shine in neighbouring Greytown and Martinborough. 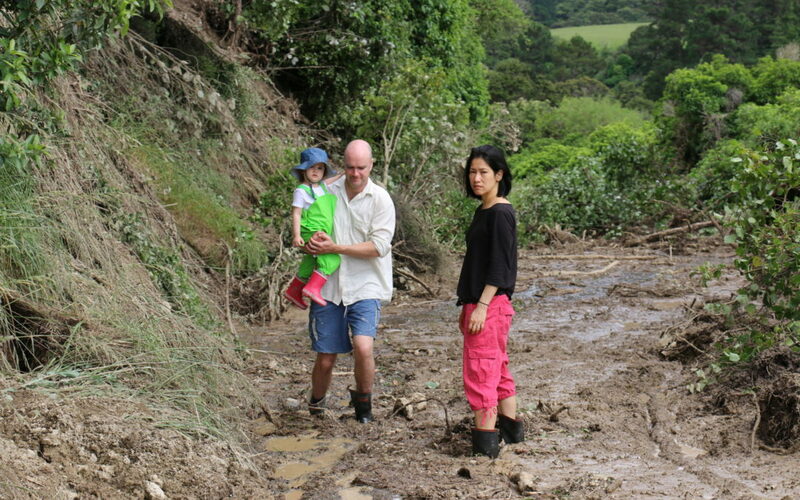 A section of Bucks Rd washed out in a weather bomb that hit Featherston on Sunday afternoon. The worst-hit area appeared to be Underhill Rd and Bucks Rd, where an entire two-lane road washed out, with a nearby resident’s rain gauge measuring 100mm of rainfall in just two hours. 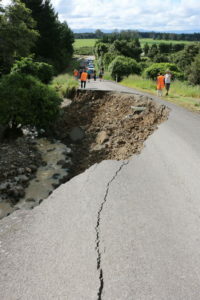 In town, houses were flooded and many residential roads were under water as the infrastructure failed to cope with the torrent of water pouring off the Remutaka Hill and surrounding ranges. Pat Kelly said he battled to get his “scared” cattle to move along Underhill Rd as heavy rain pummelled down between 4pm and 7pm. A 10m length of road dropped out on Bucks Rd, and a slip further up the hill meant freedom campers at Tararua Forest Park have been temporarily stranded. The storm was so localised, a young family from Bucks Rd said they could see blue sky out the window a couple of hundred metres away, even though serious flooding was happening all around them. “It was like someone just turned the shower on only this area,” Jirayu Brennan said. Her husband, David, negotiated the nearby slip to check on the stranded campers, who he said were in high spirits. Dylan Bennett lives on the corner of Bucks Rd and Underhill Rd with his wife and baby son. Silty water gushed through their house, ruining the carpets, and what was once a green paddock out the back of their large shed is now covered in a mound of large rocks. 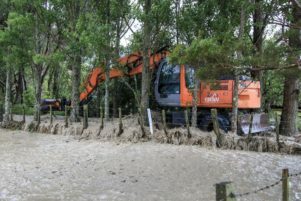 He said the water level was waist-high when he was forced to move his digger to higher ground to save the motor. 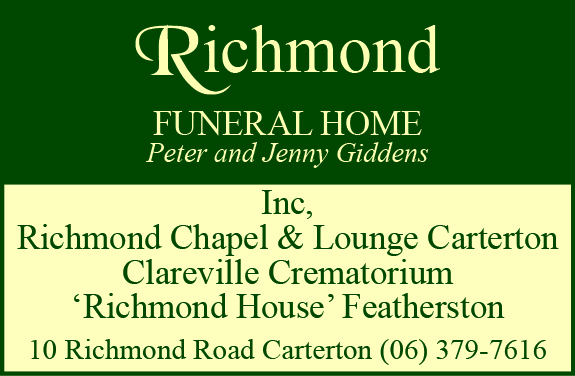 On Monday morning, he was in knee-deep mud fishing out fence batons that had been ripped out and washed to the other side of his large section. It would take Bennett weeks to sort out the mess. “It’ll be one day at a time, I think,” he said. Bucks Rd resident Lucy Harper said 100mm of rain fell in a short time and what was once a “pathetic stream” was now the size of a wide road. Derek Moore said there was “no life lost” on his farm but the landscape had changed considerably, with trees brought down and rocks and slush everywhere. 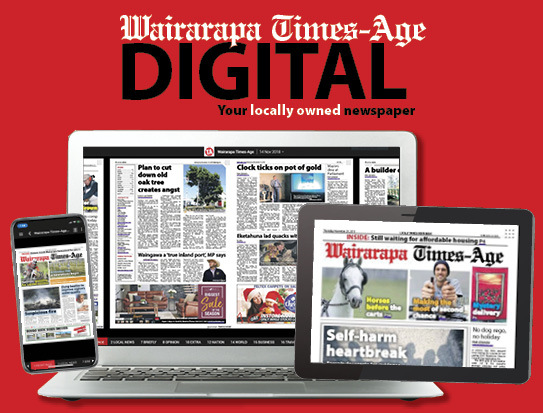 South Wairarapa Mayor Viv Napier, who was out talking to affected residents on Monday morning, said the weather event was “out of the box” and the council would assess whether any measures needed to be taken with the town’s infrastructure. The sewage system had held up well. 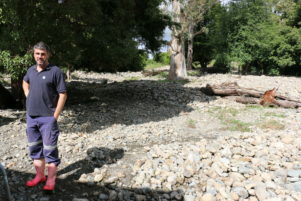 South Wairarapa District Council roading manager Tim Langley said the “high-intensity, short-term storm event” created flooding in unexpected areas, with new water courses scouring out a lot of fresh gravel and rock.